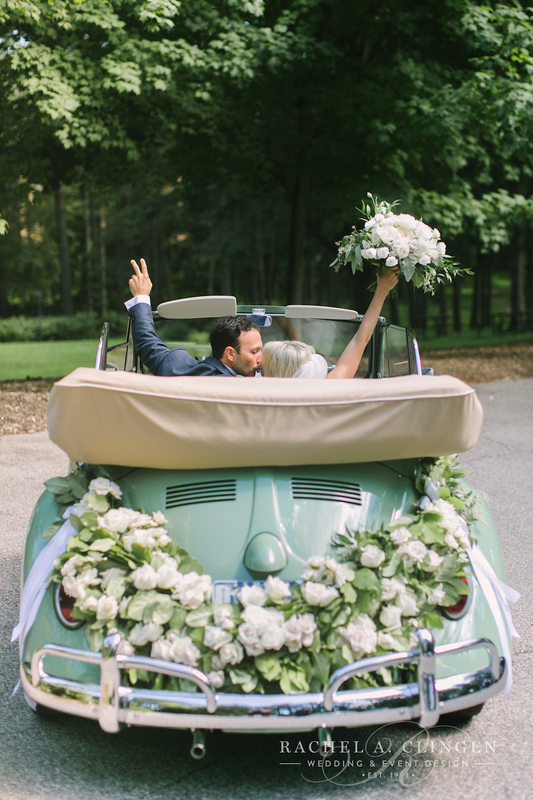 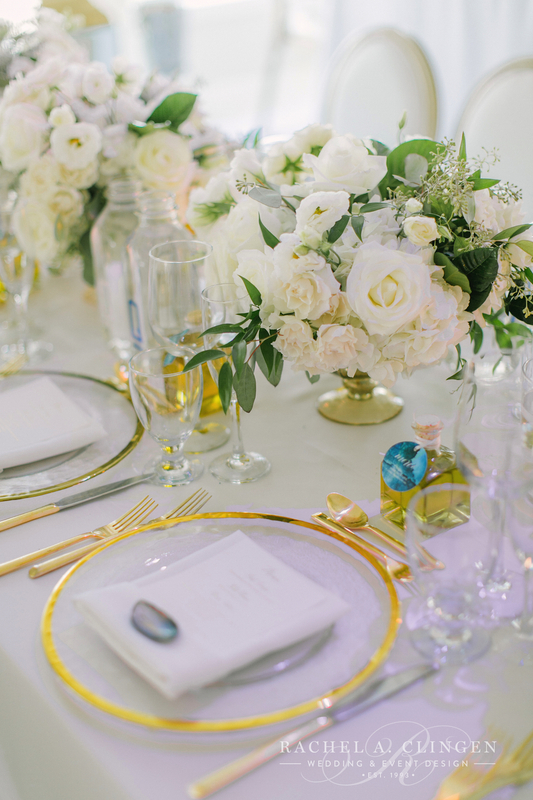 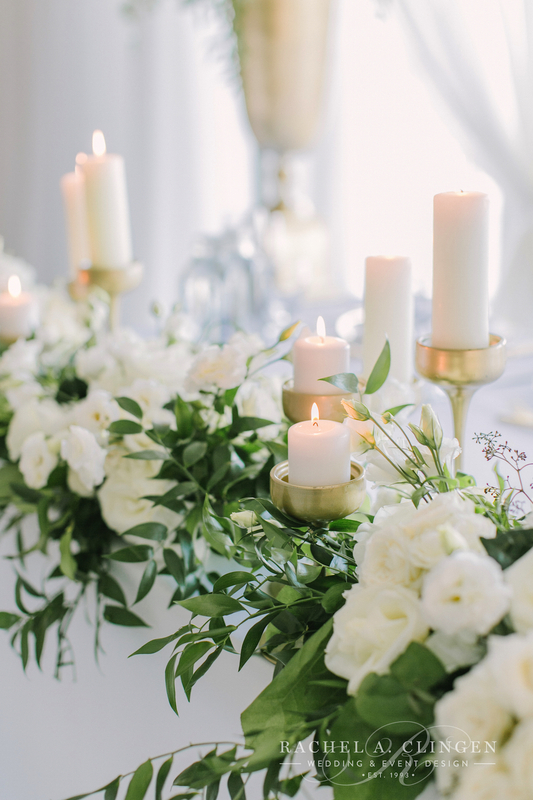 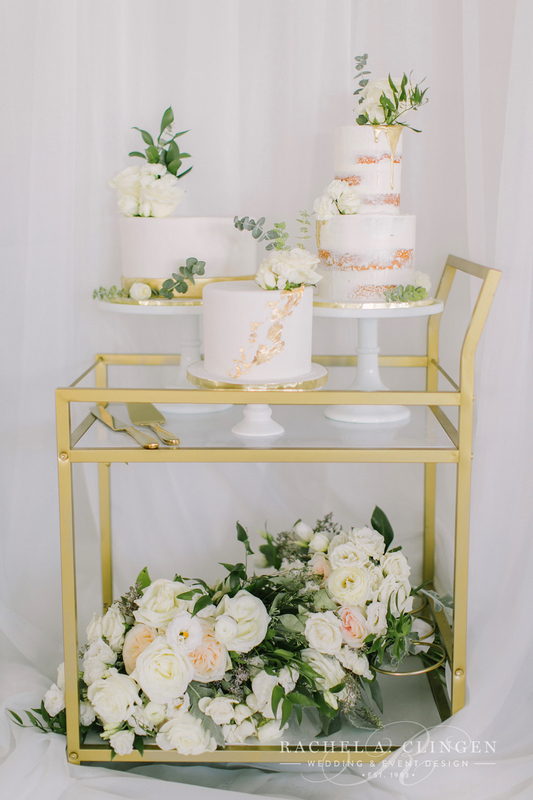 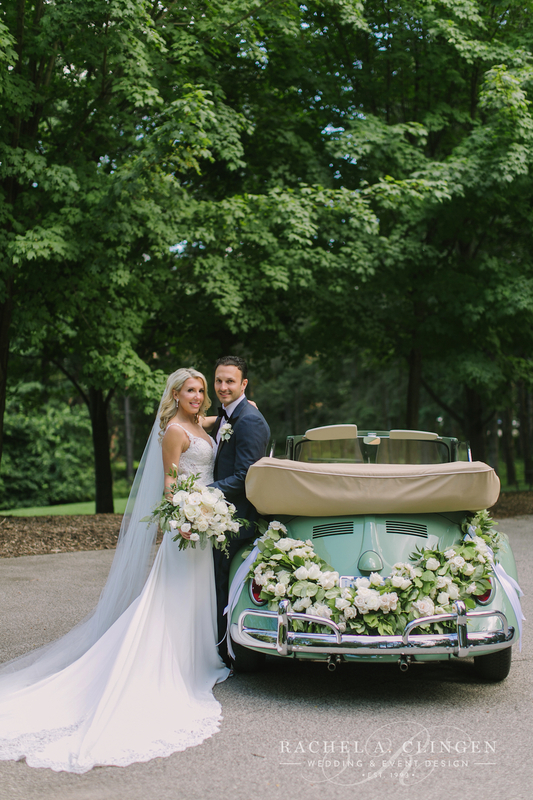 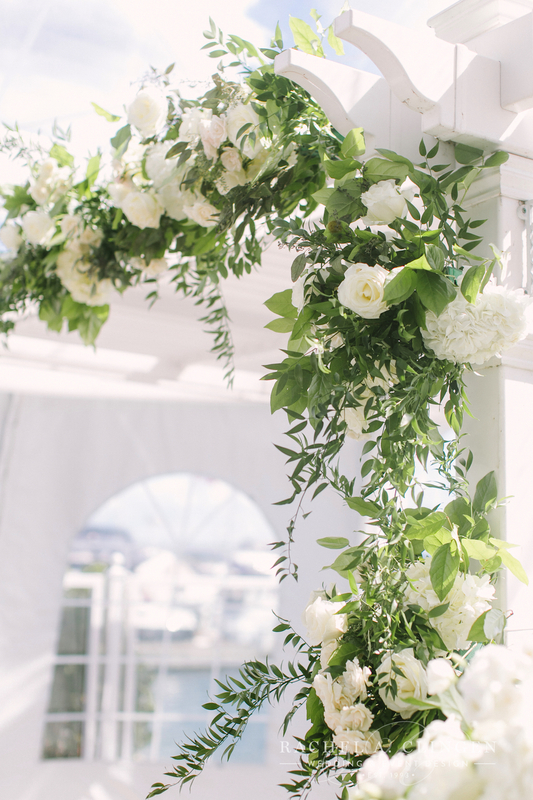 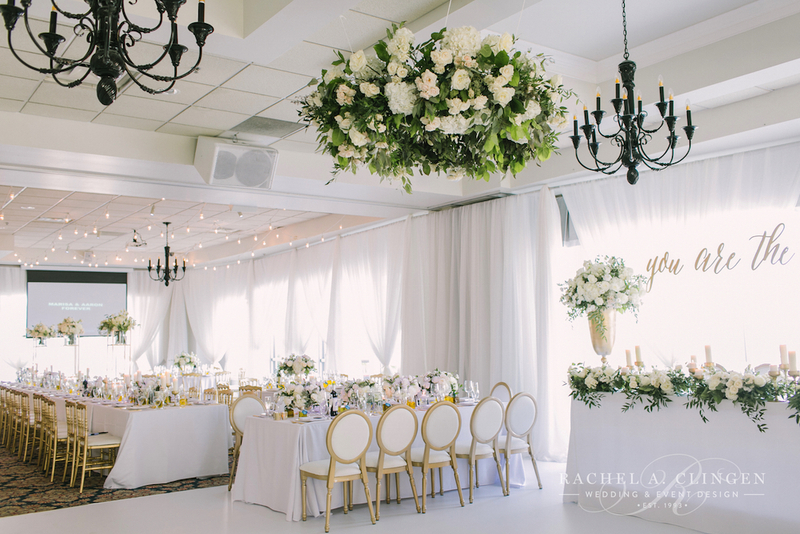 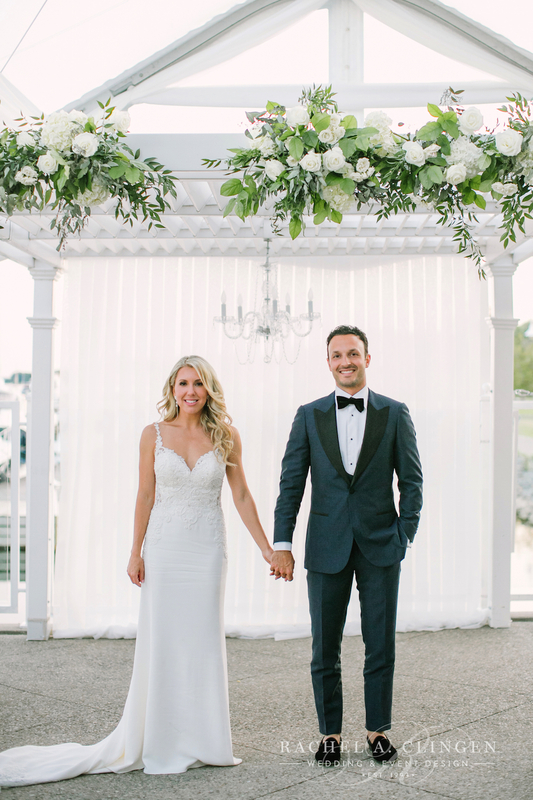 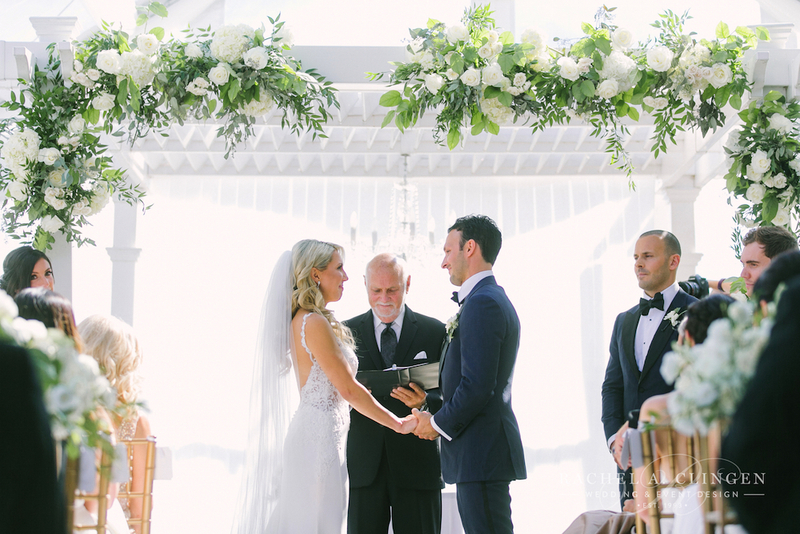 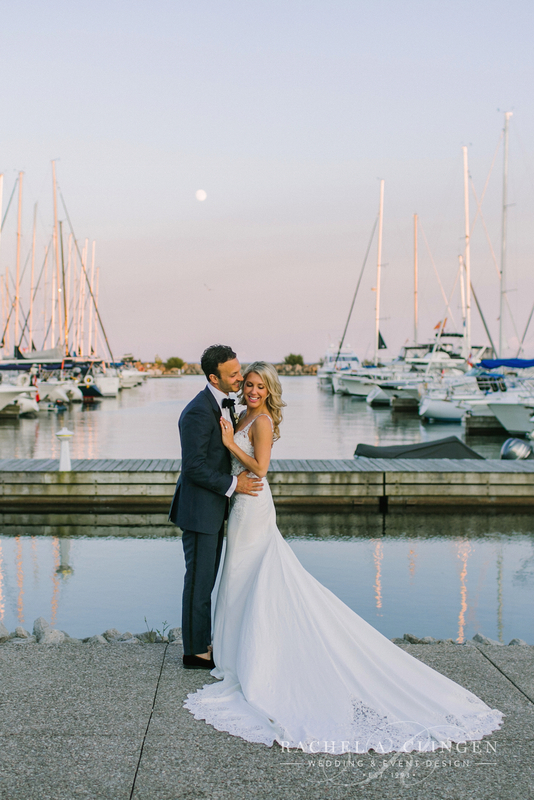 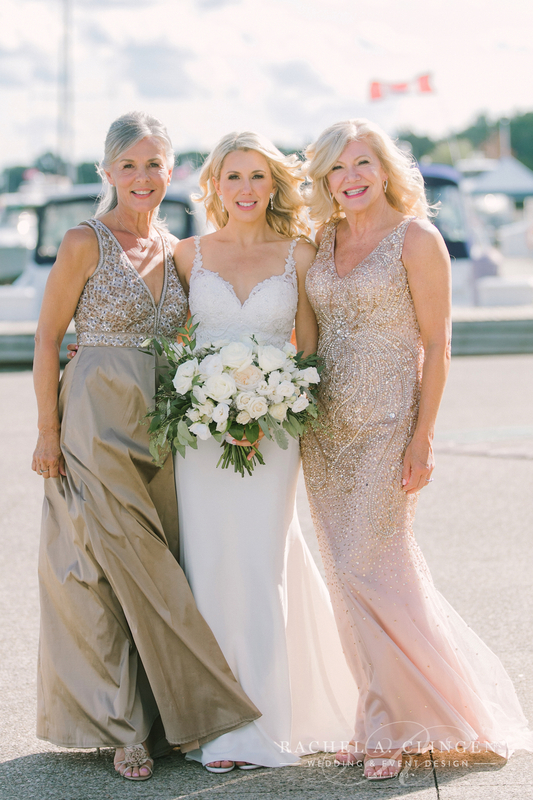 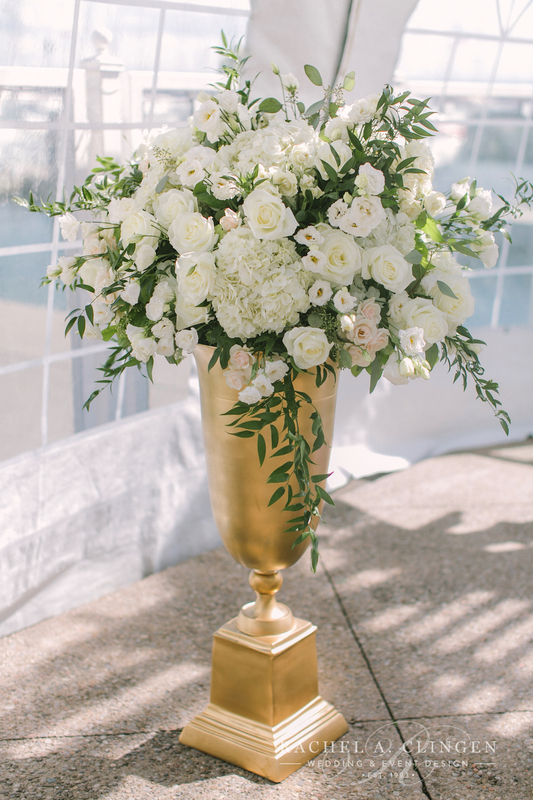 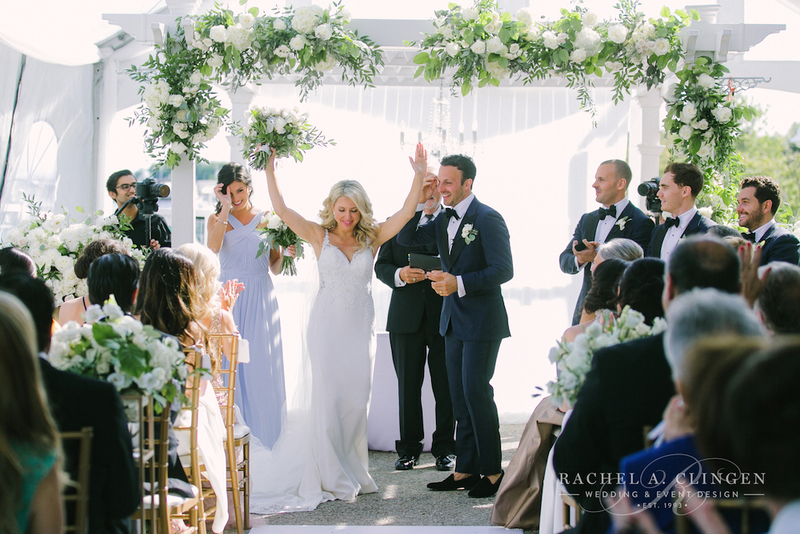 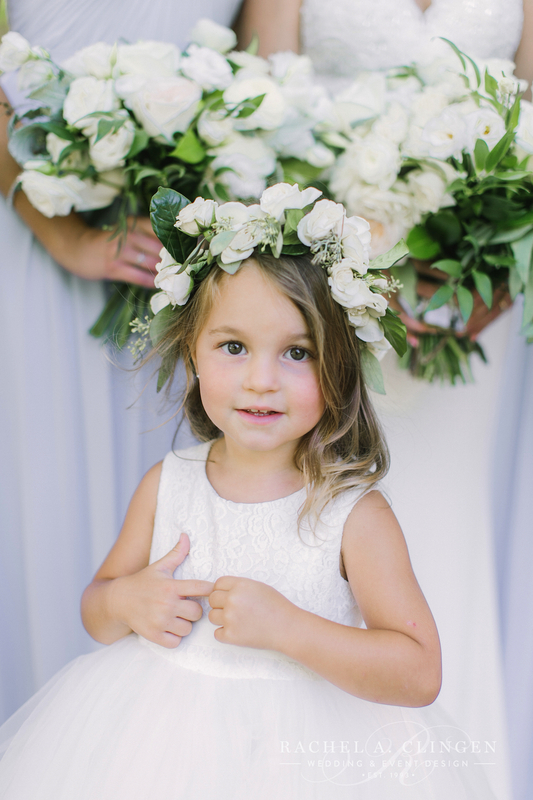 The Harbour Banquet Centre in Oakville is a special place for Aaron and Marisa’s family for a few reasons, so we were excited to transform the space with beautiful collections of white flowers and greenery for their pretty summer wedding. 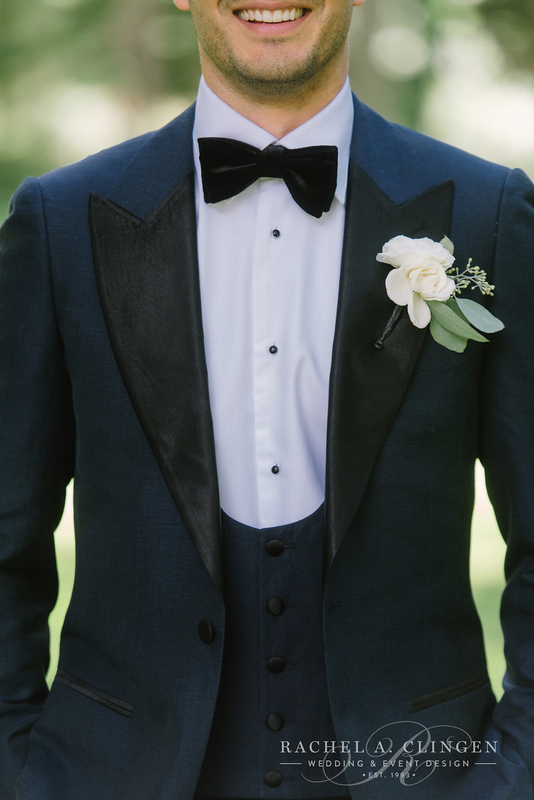 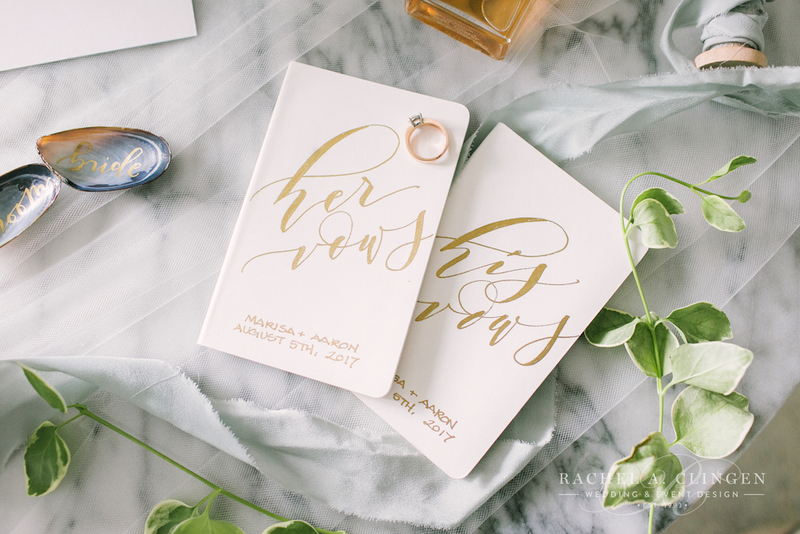 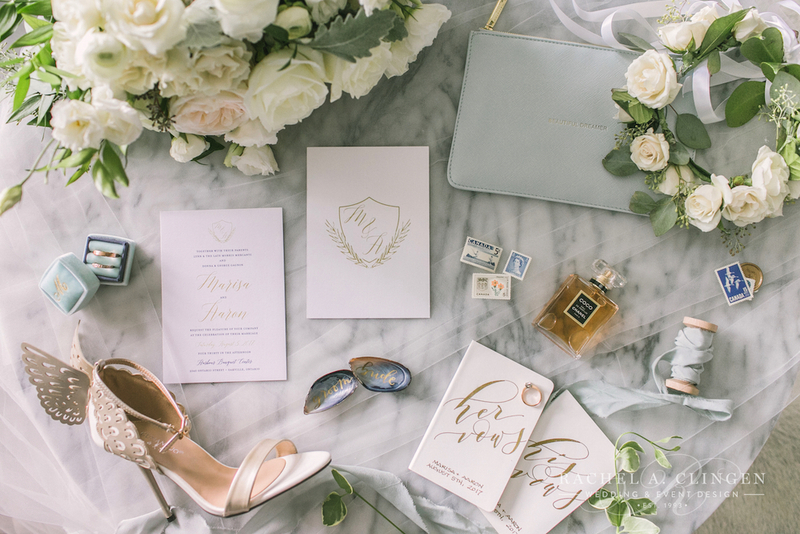 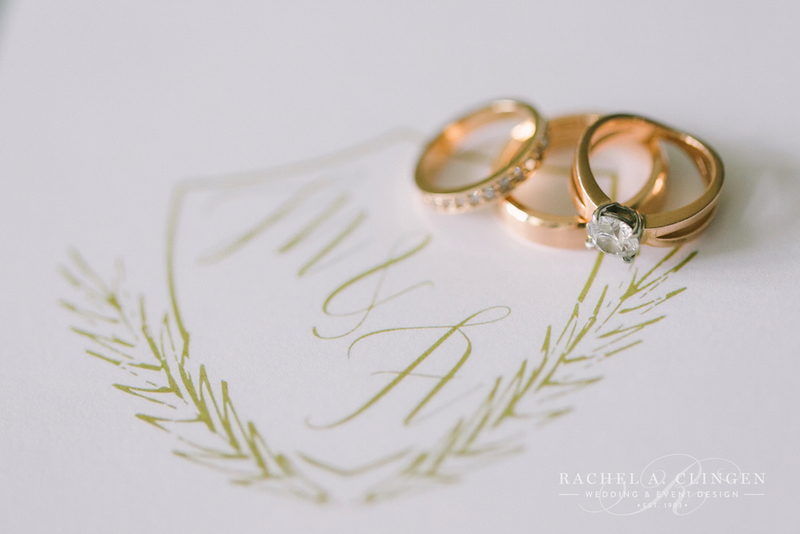 All the beautiful personalized details were planned by the bride herself and let me tell you, nothing was overlooked. 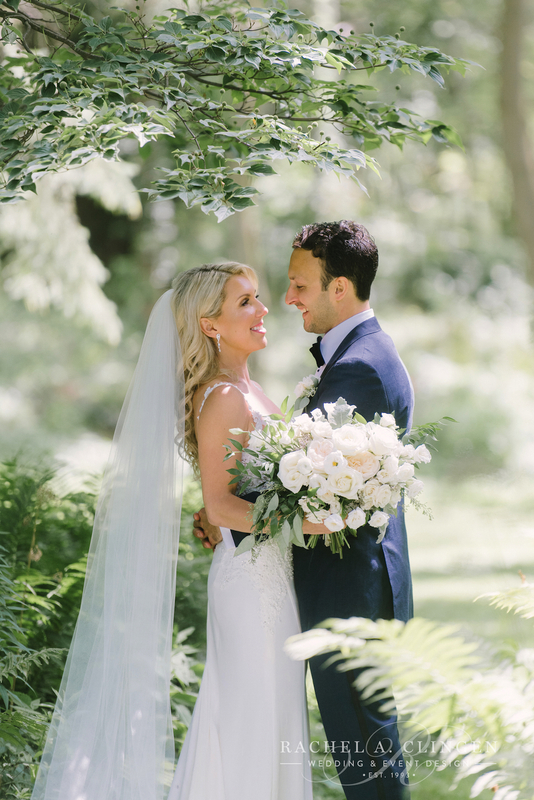 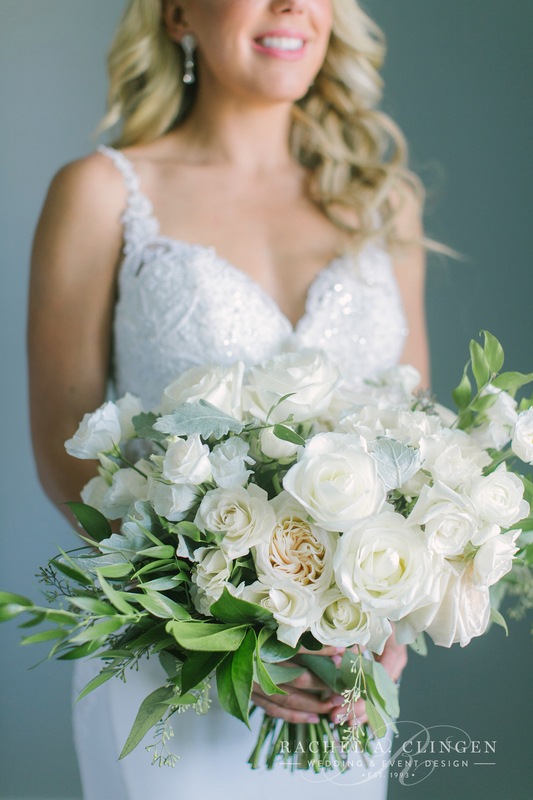 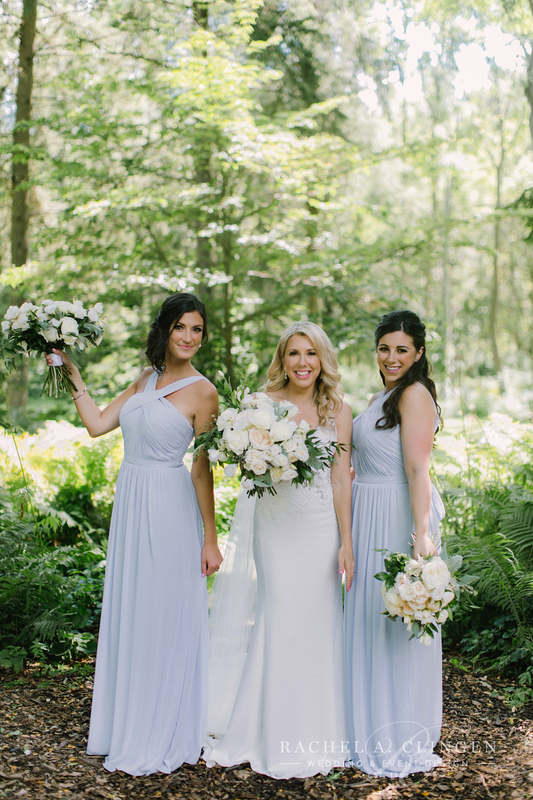 We designed Marisa’s stunning bouquet with gorgeous garden roses, spray roses, lysianthus, and soft romantic greens. 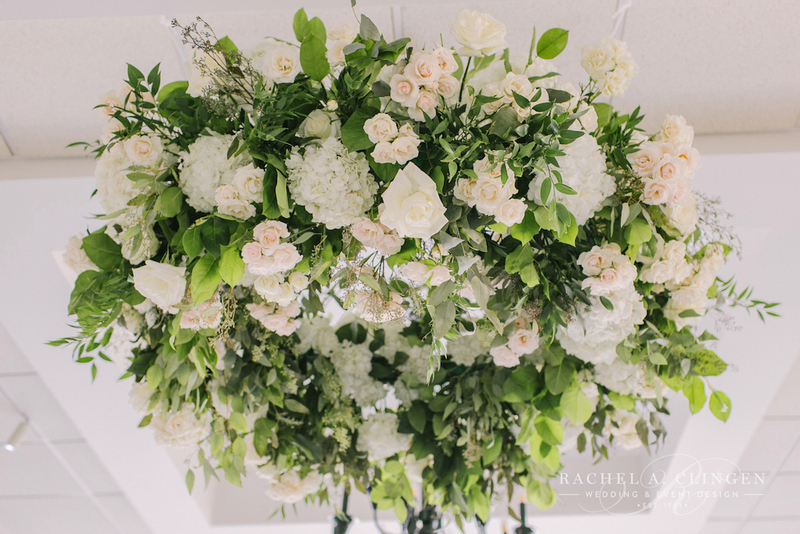 Other gardeny details included a beautiful floral feature for the ceremony where the couple exchanged vows. 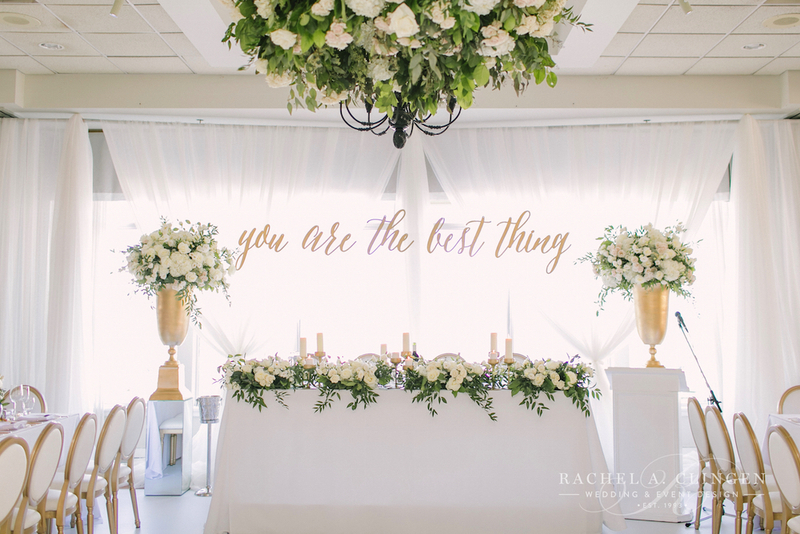 Inside the Harbour Banquet Centre, the two love birds danced under a circular floral canopy suspended over the dance floor. 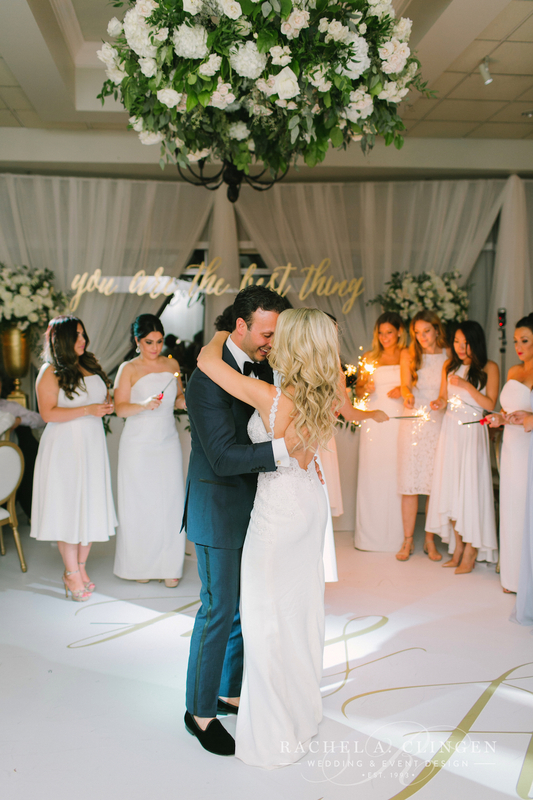 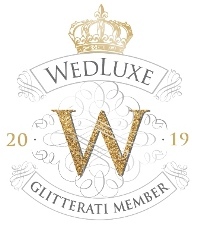 Congratulations to our beautiful clients! 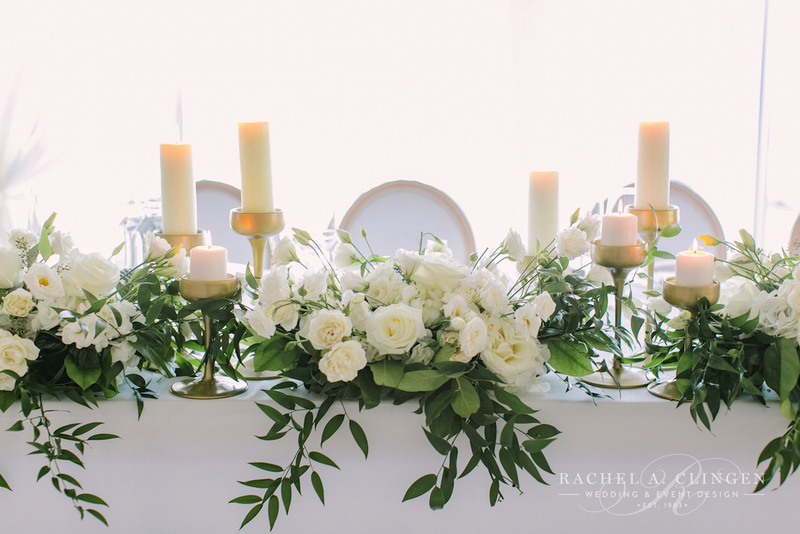 Special thanks to Elizabeth In Love for sharing her beautiful images with us. 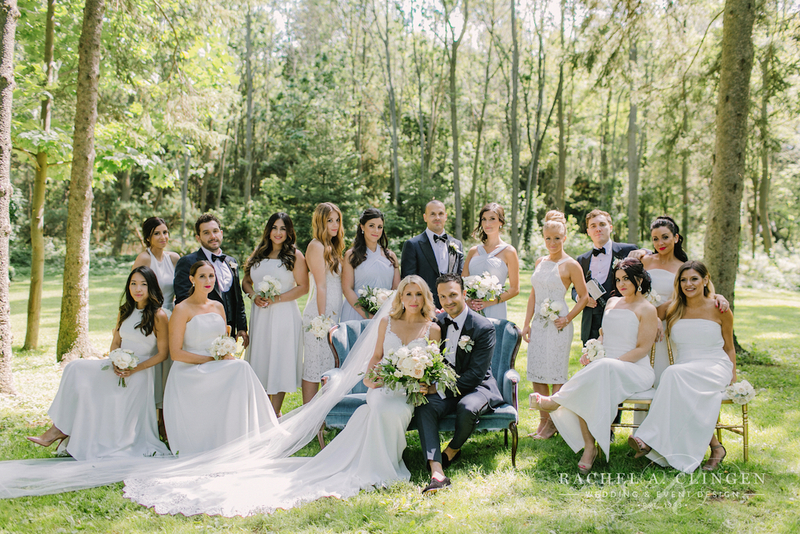 I love how Elizabeth uses so much light in her images, so soft and pretty! 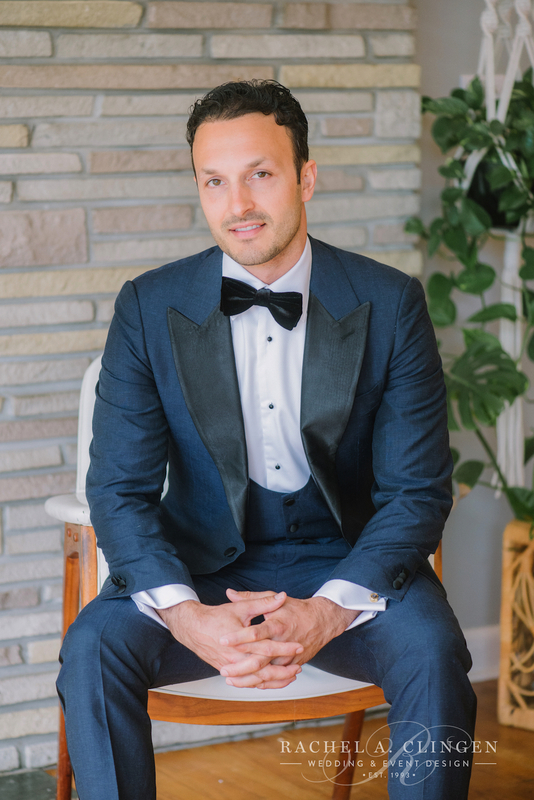 Scroll down to see vendor links.